Come and explore the region that holds a special place in Victoria's history. Departing Melbourne we will head west over the West Gate Bridge and into Victoria's sheep country and pay a visit to the regions first Heritage Sheep Farm and discover a long Australian story all to do with sheep. They first settled in the region in 1840, already with a flock of sheep from Van Diemens Land (Tasmania). Over the next 40 years they bred an improved type of sheep - one that would suit the Otways environment better. By 1880, the sheep was perfected, and named Polwarth, after the County it came from. Come and experience a private tour of the farm, the heritage homestead, sheering shed (including demonstration), the wool shop and finish it all off with Devonshire Tea and a sit down with the farmer. An awesome experience for all ages. Before the wool boom was the Gold Rush! Ballarat is just over an hour out of Melbourne and is where we will explore the legacy of Victoria's gold rush. 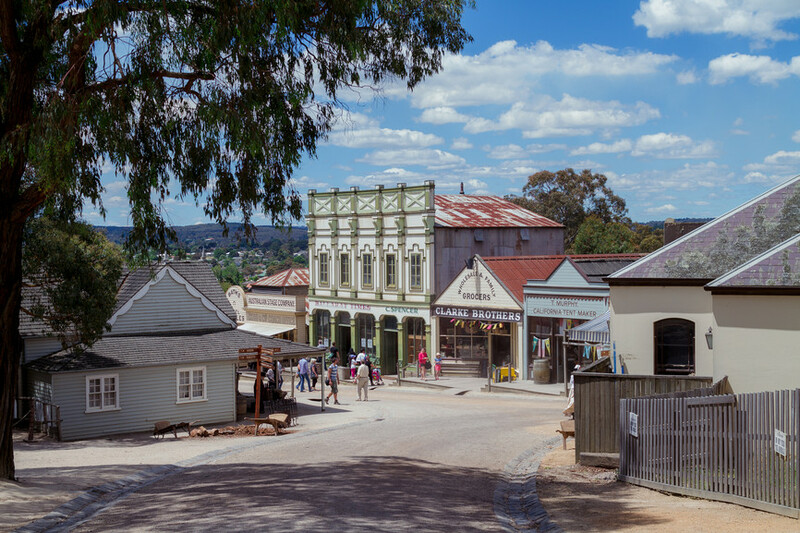 We'll visit Sovereign Hill and experience the euphoria of the Gold Rush times, set in the 1850's this gold mining settlement still brings back the sights, smells and feelings of the time. Pan for gold and tour a mine shaft under the mindful eye of an experienced miner. Take a horse-drawn coach and tour the historic township, visit the theatre, hotels, schools, craft shops, the candle maker, the confectioner and check out the steam driven machinery. It is truly like taking a step back in time and is fun and interesting for all age groups.